United States homebuiding is in a good place. Builder confidence is high, the economy is solid, and one of the largest generations is set to enter the housing market. Already known for possessing a more “woke” (being socially and politically aware — definition courtesy of BuzzfeedTM) mind, Millennials demand sustainability from their housing, though not everyone provides it. However, there is a problem facing this generation: Millennials are finally at the age where they are ready to purchase a house, only to find that there is a lack of affordable housing. Older Millennials ages 25-34 are moving out of their parents’ home at a lower rate; most likely because more people in this group would rather buy than rent, but are increasingly unable to find affordable houses for sale. Part of this is due to construction: because of the land and labor costs, with new tariffs being introduced in the steel and lumber industry, its becoming increasingly difficult to build affordable starter homes for the Millennial demographic. As this problem arises, more and more companies are looking towards sustainable, innovative practices to offer a start up home that is actually affordable. Jason Ballard, the co-founder and president of Austin’s green home improvement store TreeHouse, has unveiled a new project that could contribute to alleviating this issue. Using a 3D printer call the Vulcan, building-code standard, 350 square foot houses can be produced in about 48 hours, and at a fraction of the cost of traditional building methods. Their goal is to improve the printer and make 600-800 square foot homes in less than a day. The model for this home has a living room, bedroom, bathroom, and a curved porch all at a price of $4,000 per unit. Obviously, this is just one option. The Tiny House trend is also geared towards sustainable and affordable design and are a big hit for those looking for a more minimalistic lifestyle. Big builders also recognize this crisis and do their best to offer solutions. Multiple companies, such as Lennar, offer student loan forgiveness for Millennials looking to purchase their first home, as student debt weighs heavily on the mind of college-educated Millennials. There have been plenty of studies on what Millennials want in a starter home. We know they want many of the same things their parents wanted when they were first buying a home – open floor plans for entertaining, backyards big enough for children or dogs to play in – but this tech-savvy, woke generation also prioritizes sustainability and smart home technology. The sustainable and green home movement saw great strides last year, and I am sure this will continue as homebuilders begin to realize both the demand and the opportunity that green building provides. At the end of the day, green sustainable building practices make the most sense. Not only because they provide more financial benefits in the long run, but because that is the way we will survive longer on this planet, and, frankly, its what consumers are asking for! Millennials are posed to be the largest group of homebuyers to enter the market, and these buyers demand sustainability. With generation Z hot on their heels, who are even more politically, socially, and environmentally aware, it is essential that builders and developers put their heads together to offer affordable, sustainable solutions to the coming generations of buyers. In the January/February issue of Green Home Builder, we recognized the importance of the Millennial market. We noted that economists and analysts are predicting a more serious commitment in 2018 from the Millennial home buyer; we know the facts, we know what Millennials want, and we even know the extent of the baggage they come with. Now what needs to be discussed is how to provide it. As the problem begins to be discussed, a plethora of solutions will arise with it. As this is the Annual Buyers Guide edition of Green Home Builder magazine, we encourage you – all of you in the industry – to talk to one another. This guidebook is meant to be used as a resource for homebuilders and for all of the business professionals within the industry who have a stake in building green. Use this guide as a resource, and discuss with your peers how to create more sustainable designs for one of the largest demographics poised to enter the housing market. As we continue to face this crisis head on, I am confident that America will put our best foot forward and do what we do best when faced with a challenge. More and more designers and inventors will come out of the wood work, with incredible, sustainable, and affordable designs, and we look forward to reporting on them. 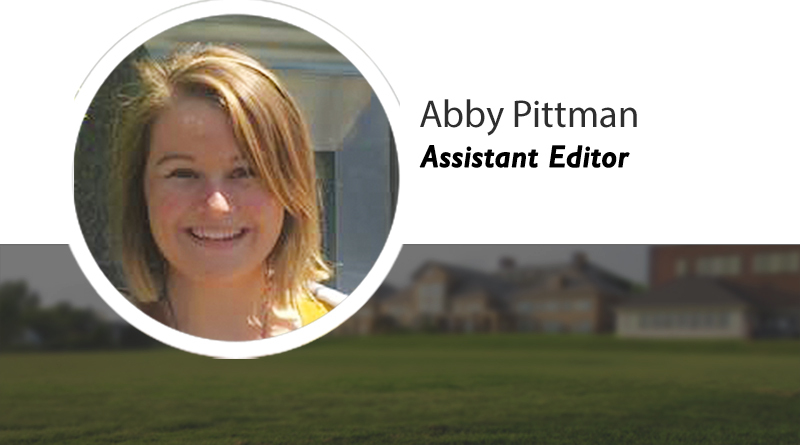 Abby Pittman is the Assistant Editor for Green Home Builder magazine. She may be reached at abby@penpubinc.com.